Last Friday we walked over to the playground for a picnic dinner at the park near our house. We sat on a blanket in the shade. Ben played with the chip bag while we ate our sandwiches. 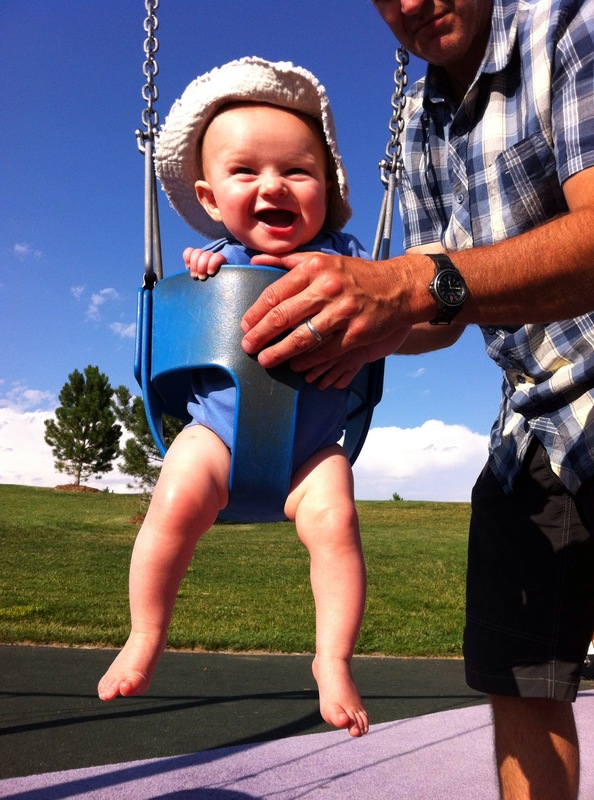 After dinner, we decided to give the swings a try. I wasn’t sure if Ben would fit in the baby swing, but he did! 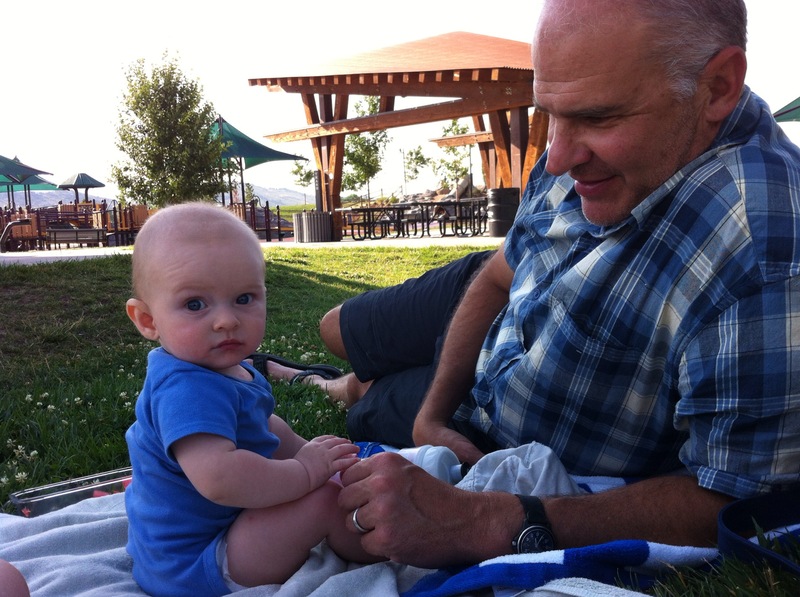 He loved to have daddy push him back and forth–so fun! Then we played in the splash park. 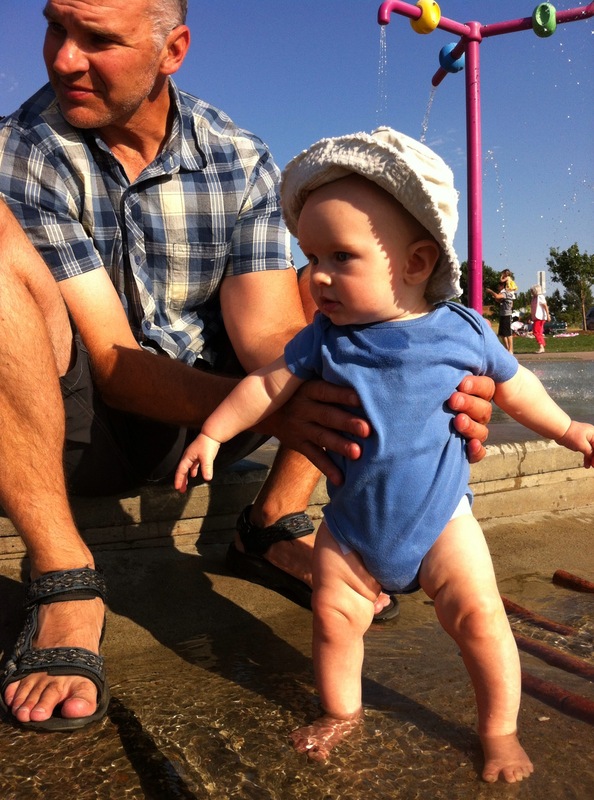 Ben loved stomping in the water and making splashes. And then it was time to walk home. Next time, we hope cousins Cara and Kiley can come too! 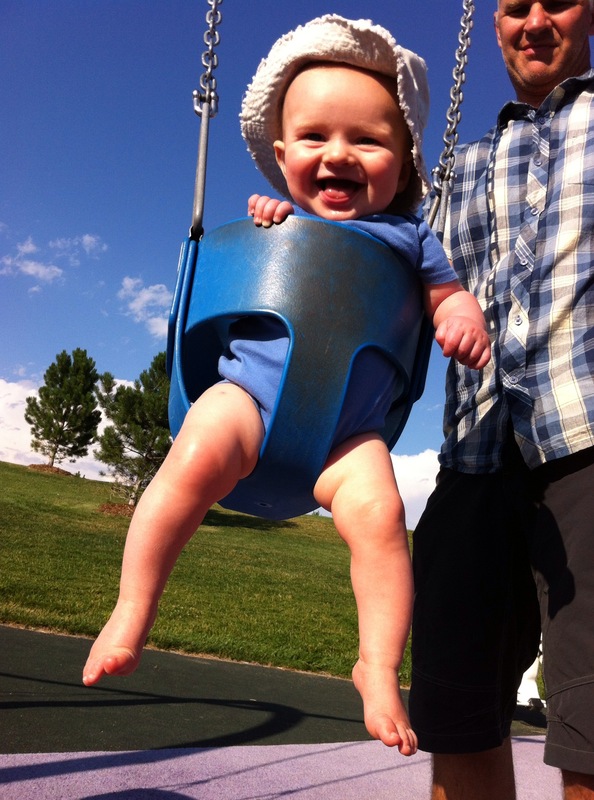 I kept on getting errors when I tried to post a comment, so not sure if that went through.� He looks like he is having so much fun on the swing — toooooo� cuuuuuute!!! Parfaitement clair et exprimé. .